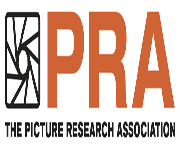 PPA has the ability to record Apple ProRes RAW and Apple ProRes RAW HQ at 14-bits. ProRes RAW brings the quality and workflow advantages of RAW with the incredible performance of ProRes. Editors can import, edit and grade pristine footage with RAW data from the camera sensor, providing ultimate flexibility when adjusting highlights and shadows, without slowing down their editing workflow. To learn more about Prairie Pictures Aerial, visit https://www.prairiepictures.com/aerial-cinematography .